(NEW YORK) Expanding their collection beyond just menswear, online retailer Bonobos has announced the launch of AYR, a label designed exclusively for women. An array of 75 basics and staples including stretch denim, silk tanks, cashmere sweaters and architectural jackets will come together to form their first spring collection. The name AYR stands for “all year round,” and will be sold and branded separately from the men’s Bonobos collection. AYR plans to ease into e-commerce starting November 13th with two denim styles available in two washes. Bonobos founder and CEO Andy Dunn has pieced together an entirely new team including Jacqueline Cameron as design director and Maggie Winter as brand director for AYR. 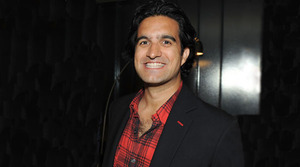 Cameron joins the brand from a previous position as design director for denim at Calvin Klein Jeans and Winter was formerly a senior merchant at J. Crew. The collection’s price point ranges between $50 and $485 and is set to debut in its entirety in late January or early February.